Why did I read it? 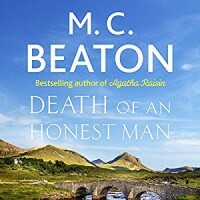 I adore the Hamish Macbeth series, and this was the latest edition. What did I like? Honestly, the soothing tones of David Monteath were perhaps the only lovely thing about this particular episode of life in Lochdubh. What didn't I like? Oh dear. It seemed to me that the author, M.C. Beaton 'phoned it in'. There were so many errors in the book. (1) Lucia Lament was noted as the daughter of Mr. Ferrari; however, in earlier books, we learn Lucia is a distant relative of Mr. Ferrari brought over from Italy to work in the restaurant in Lochdubh, after Mr. Ferrari's immediate family took over the running of his first restaurant. (2) Initially, it is said Silas' father died when he was two, then, later, it is said his father died 10 years previous. So, either Hamish's new constable is 12 years old, or this is yet another error in the narrative. (3) It seems the forensics team has been re-populated with boozy blokes, who I thought had been replaced a few books back. There are many more inconsistencies like this that regular readers/listeners might pick up on. How many constables can Hamish get through in one book? Charlie Carter, who has been with Hamish through a few books, seems to have been unceremoniously pushed out of the series. Larry Coomb appears, and is gone within a few short paragraphs. Enter Constable Silas Dunbar. Exit Constable Silas Dunbar. Enter Freddie Ross. Exit Freddie Ross. Then, at the very last, enter a WPC, Dorothy MacIver. Why bring Elspeth back into Sutherland at all? Her contribution to the narrative was negligible, with the low level rivalry between her, and Priscilla for affections of Hamish becoming increasingly tedious in its repetition. And, the rivalry between the two of them, and Sonsie is reignited upon the cat's incomprehensible return. The storylines featuring Colonel Halburton-Smythe, and Chief Inspector Blair were so far beyond believable, and extremely disappointing. Yes, this is fiction, which often strays from reality as it is set in an idyllic version of the highlands, but these narratives were just too far-fetched, and stretched far beyond the known behaviours of these long-term characters formed through the previous 32 books. These tangential stories seemed ill formed, and very ill judged. It's almost like they were padding for the scant murder mystery, which, itself, seemed poorly thought out, and too closely related to other victims, and plots in the series. There are other disappointments, but I have listed only what I see as the the major faults here. Overall, the book felt disjointed, the main narrative was thin, and the side stories not as believable as in the past. At times, the superstitious and supernatural elements felt more real than anything else. Also, having listened to this audio series in its entirety several times now, I have begun to notice mistakes in the text, e.g. the wrong character having said a line. Unfortunately, this is also true of “Death of an Honest Man” having listened to it three times now. Would I recommend it? Honestly, no. Not even to fans of the series. I sincerely hope the next two books in the series, which M.C. Beaton has confirmed she is contracted to write, are not so badly composed as this one. I want a return to the Hamish Macbeth and inhabitants of Lochdubh I have grown to love. Why did I read it? When first published, several people recommended this book to me, and it was recommended more than once by some. I imagine those recommendations came because of my like of the natural world, and of language. I have no idea why, but I put it on my 'wish list' and then my 'to be read</i>' pile, but never actually started it; these decisions I now regret. 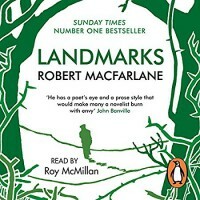 The narrator, Roy McMillan|, did a splendid job. I'm afraid I have no idea of the name of other gentleman whose voice was used to read out various words, but his voice gave luscious contrast to Mr McMillan's smooth tones. Would I recommend it? Yes! Yes! Yes! Not necessarily the audio version though - not because it is not well read, but because once you've read the book, I'm pretty sure you'll want to keep it to hand to pore over the word glossaries, and then add to your own. Why did I read it? Because I had enjoyed the author's Lewis trilogy, and I had hoped for something similar. What's it about? Niamh and Ruairidh MacFarlane are two islanders who build up a textile business, Ranish Tweed, and while on a visit to Paris, a car bomb goes off. As the investigation gets under way, Niamh struggles to come to terms with a life without Ruaridh. What did I like? There were parts set on the island, and, as always its character shone through. Both narrators were good, and it was interesting to have one for the present, and one for the past. The downloaded audio file was clear. What didn't I like? It is unfortunate that this book failed to hold my attention. I kept leaving it, coming back, then leaving it again. This was not helped when, in the back of my mind, I held an idea about the direction of the book from the time of the car bomb. I ploughed on, despite not being gripped by the story line, or the characters, and with clues seemingly corroborating my thoughts on an outcome. When, finally, the end came, it was merely a confirmation. The characters could just not hold my interest, and the hints about events in the past of some characters were frustrating, especially when the author would elaborate later in a flashback chapter - the waiting seemed so unnecessary. Niamh was the most developed character, but I had no sympathy for her, or indeed with any of the characters, no empathy, or any kind of connection really. Each seemed predictable, and flat. Having that feeling about the story line's conclusions put me off, and I felt really let down by this book. I wanted to like it so much. I wanted it to grip me and hold me down to it until the bitter end as the Lewis trilogy had, but it just whimpered quietly, and I was frequently able to leave it alone. I guess my disappointment is showing, but it's really how I felt at the end. Would I recommend it? 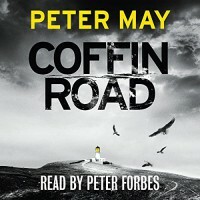 Please don't let this be your introduction to Peter May's work; he has written better. 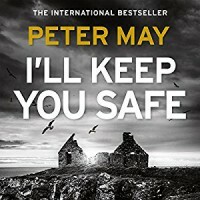 Overall, I cannot recommend "I'll Keep You Safe". Why did I read it? I had read The Wind in the Willows when I was a child, and only recently discovered that Kenneth Grahame had authored other books, about which I was unaware. This story sounded interesting. What's it about? 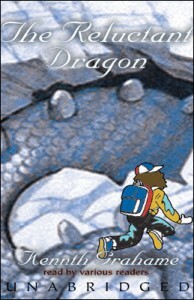 Two children are following footprints in the snow, when a neighbour calls them in for warming tea, and begins to tell them the story of the friendship between a boy, and a dragon living in a cave up on the Downs. What did I like about it? It's a very nice, old fashioned story for children. Very English. The audio was clear, without any errors. What didn't I like? I think I may have chosen an awful audio version to which to listen. It was a full cast production, but with American actors, and, honestly, it spoilt all the fun of the story. I think if it had been a cast with English accents, it might have been better. Would I recommend it? Oh yes, but not this particular edition. A great bedtime story I imagine. Why did I read it? 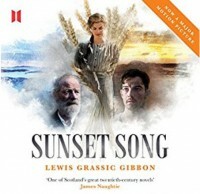 Sunset Song is supposedly regarded as an important Scottish novel, and is (sometimes) studied in secondary schools, because it touches on important themes from the time period in which it is set. I thought I might enjoy it. What is it about? Sunset Song follows the life of Chris(tine) Guthrie from arrival in Kinraddie (north-east of Scotland) as a young girl in the early 20th century. The Guthries' lease a croft, and we follow the fortunes of the Guthries, and other families in the rural community through to the end of the first world war. What did I like? Very little. Kudos to the narrator, [Eileen McCallum, for her vocal skills, both as a speaker, and singer when required. Ms McCallum created unique voices for each character, and her Scots accent was such that the dialogue will still intelligible. If there had been a duller narrator, I might not have been able to finish the novel at all. The one star rating is entirely for Eileen McCallum. The author used some very interesting, and unique similes. What didn't I like? From the start, this novel strained to keep my attention. It opens with a description of every family within Kinraddie, and tells quite a bit of their history, some of which occurs after the novel's actual end, as I was later to learn. This opening section of the novel felt interminable. I kept waiting for some semblance of a plot, and, after quite some time, began to wonder if there was one, or if this was a collection of short stories. The descriptions of people, and places seemed to stretch on, and on, too. I like rural settings, I like descriptions of rural places that can evoke a character of the land itself. Other authors manage this beautifully, and elegantly, without devoting paragraph, after paragraph to the description of a single character before relating their part in tale. The inner thoughts of Chris were far from cheery, which is not a complaint in itself, but Chris's sombre, morbid musings were just too much to bear for this listener. I found myself turning the volume down, waiting a few minutes before turning the volume back up, and then hoping that there was movement in the time line. I don't think I missed much by doing this. I got quite depressed listening to these sections of inner dialogue, and there were too many of them in my opinion. Lewis Grassic Gibbon constantly jumped forward in time, and then would proceed to reflect on the events between the last point at which he left the tale, and the point to which he had just jumped. Why not just progress in a linear fashion? I am of the opinion that nothing would have been lost in the telling by doing so. I have seen this time jump technique used to great effect in other novels, but, in Sunset Song, it was pointless. Other thoughts: My sympathies go to any secondary student for whom Sunset Song is required reading. I get it: There is no such thing as the rural idyll; it's a tough living. It is not necessary to cram your story with as many instances of human defect as you can recall into one novel. Would I recommend it? No. Nor will I be reading the remaining two books in the trilogy, because I cannot face any more dark, depressing navel-gazing. Why did I read it? I have listened to most of the Shetland series, so, naturally, I was interested in this short, crime story featuring Detective Inspector Jimmy Perez. What's it about? Jimmy's ex-wife, Sarah, asks him to come to the borders, to Stonebridge, where the local teacher has died. Although the police think Anna committed suicide, rumours have it that Sarah's husband, the good doctor was Anna's lover and he murdered her. Jimmy just wants to get home to Shetland; instead he reluctantly agrees to look into the matter because Sarah is so distressed. What did I like? Well, the audio recording was clear, and without error. Kenny Blyth did an excellent job as narrator. A very short listen, with quick character development of both the people, and the village of Stonebridge. Jimmy is very much on his own on this one, and that makes a nice change. He also seems a little sharper in this story. I did like the shorter chapters, and the writing seemed tighter in this story, compared to the longer books. It was a pleasant way to pass a day's commute. What didn't I like? Oh dear. One particular line gave the whole thing away, so there was no real revelation at the end. I'm wondering if this is becoming a habit with the author, as I found the same thing in the last offering Cold Earth. It wasn't the best crime storyline, if I'm honest, as the motive/reason for the teacher's death has been employed by many a crime writer, and it felt a little tired. I did wonder if perhaps this was just an exploration of Jimmy's past, with a death thrown in, to set up some future book? Would I recommend it? If you a reader of the Shetland series, then, yes. 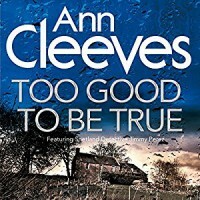 If you're a fan of crime fiction, have read widely in the genre, and haven't read any of Ann Cleeves's other books, then don't start with Too Good To Be True, as it's not her best. Why did I read it? One of the members of the Read Scotland 2017 group read, and reviewed it. After reading the synopsis, and the reviews, including the negative ones, and noting it was available in audio format, I decided to listen to it. What's it about? 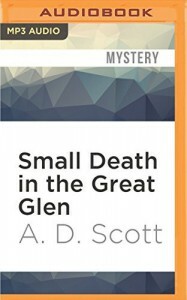 A young boy goes missing in a Scottish Highlands town on his way home from school. The next morning he is found in a canal, and his two young companions claim he was snatched by a 'hoodie crow', a creature from folklore. No-one takes the girls story seriously, and blame is foisted on a foreigner who has jumped ship to escape the troubles in the Poland of the 1950s. The accusations begin to affect another Polish settler that first helped the fugitive, and his Italian fiancé’s family, who are still viewed at outsiders. Slowly, the staff of the Highland Gazette start to see through the 'hoodie crow' guise, and piece together the last hours of the tragic, young Jamie's life. What did I like? This is not your typical crime novel. It's very slow paced, exploring the minutiae of life in a small town, in the Highlands of Scotland, in the 1950s. An exploration of the psychology of the town's inhabitants, as well as the culture. The behaviour of the (small) townsfolk is exposed: secretly knowing and even acknowledging the problems of others, but scared of being ostracised if they dare speak openly, or interfere; the lack of charity, or forgiveness of the Presbyterian inhabitants, and the suffering endured because of this attitude. Doing what is seen to be right, rather than what is right. The investigation into the assault, and murder of the young boy serving as a means to expose what lies beneath the surface of the town’s respectability. The characters, though many, are whole, flawed, and well developed. Each with their own storyline, it was clear that the author intended more than one book about these characters, and the town. I liked the descriptive phrases, the time taken to set a scene. I liked spending time with the various characters, and their private worlds, and inner thoughts. I also like that for all that description, the author refrains from going into details of various crimes found in the book. The reactions of the characters to what they see, and hear is enough to get the gist. The audio recording was clear, and without issue. What didn't I like? The author did have a tendency to go roaming, and take a very long time to return to the [a?] central plot. This did become a bit tedious at times. I first encountered the narrator, John Keating, in the Irish Country Doctor series. While he did his best to provide appropriate accents for some characters, there was the odd issue of pronunciation that stood out. Sometimes his voice characterization worked; other times it just didn’t. Now, the ending: It was particularly disappointing. I am still not sure if ended the way it did, in one very short, chapter, because the author wanted the reader to empathise with the disappointment of one of the main characters; or it was laziness and a quick way to wrap the whole thing up. Either way, I found it dis-satisfactory. Would I recommend it? If you're a crime reader, and you like the sole focus to be on the investigation, and only the characters directly involved with said crime, then this isn't for you. If you like fast paced stories, that race you to the end perched on the edge of your seat, then this book isn't for you. If you like to just glimpse a character, or place as it is relevant to a storyline, then this also may not be the book for you. If you like to take your time exploring a place, its people, and its culture, revelling in the everyday, the ordinary lives, then this could be a book for you. It is primarily a crime novel, but it is also the story about a particular time, and place. Why did I read it? 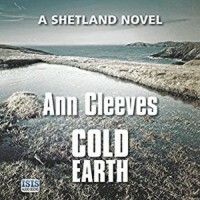 I have enjoyed the Shetland series by Anne Cleeves thus far, and, as it is summer and I have time spare until next semester, I thought I'd pick up where I'd left off. What's it about? While attending a funeral, a landslide occurs ripping through the cemetery and destroying "Tain", a nearby croft house, thought to be uninhabited. While checking on the damage, Jimmy Perez finds the body of a woman. Initially thought to be a victim of the landslide, upon discovering the woman was dead beforehand, Jimmy asks Willow Reeves to head up the murder investigation. What did I like? The narration was clear, and without fault. The narrator, Kenny Blyth was decent, and good with accents. I loved re-visiting Jimmy, Willow and Sandy, and mainland Shetland. As always, the descriptions of people and places were illuminating, and I felt right there with the characters. Anne Cleeves is very good at evoking an atmosphere. What didn't I like? As the narrator, Kenny Blyth was a little disengaging; I found myself drifting away from the audio book, and had to rewind and re-listen a few times. I'm not sure what it was - the narration, the plot - but the whole story seemed to just drag on, and on, though, oddly, the murder is solved in a few days. I generally like this series, but I wasn't gripped at all. I'm afraid, too, I guessed the culprit almost from the first meeting. This has not always been the case with the Shetland series, so I was disappointed. Would I recommend it? Oh yes, to fans of the Shetland series, and those who like crime fiction, but start at the beginning of the series as this is not a stand-alone book, given prior knowledge of some of the characters is required in order to understand certain situations. Why did I read it? I enjoy Anne Cleeves' Shetland series, and I also like the television serialisation of her Vera novels, so a collection of short stories to dip into during short breaks sounded good. What's it about? 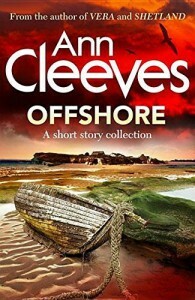 A collection of short, crime fiction tales featuring some of the characters from Anne Cleeves' books, Willow Reeves, Jimmy Perez, and Vera Stanhope. What did I like? The stories were short, complete and were well written, holding my attention the whole way through; some even managing a twist in the tale. What didn't I like? There were too few stories? Sorry, but that's about all I could find to dislike. Would I recommend it? If you are a fan of Anne Cleeves, then, yes, I would recommend them, though they are only available in ebook form. If you enjoy crime fiction, but don't have the time to read an entire novel, then this may be for you, too. Why did I read it? 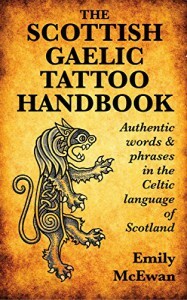 I'm learning (Scottish) Gaelic, and I've seen so many queries for Gaelic translations for tattoos to which the responses were read this book. What's it about? Basically, it is a short history of the Gaelic language, and how to go obtain a good translation before having it permanently inked on your body. What did I like? The short history lesson was sound. What I truly liked were the examples of translation requests illustrating how differently an English phrase can be interpreted in Gaelic, i.e. why there are so many differing answers to a request. It gave an insight into why there is no such thing as a 'straight' translation from English to Gaelic (or any language for that matter), which served as a warning against asking for 'free' translations from random folk on Facebook, Tumbler, etc., etc. I also enjoyed seeing the mistakes people have made with their tattoos, how these might have occurred, and how to avoid them in future. I was in absolute agreement with the author's suggestion to her readers that they should interact with Gaelic language as part of a living, breathing culture, rather than just embedding a small piece of it in their skin. That to truly honour the Gaelic language, or any speaker of it would be to truly get to know the language, and the people who have it. What didn't I like? I would have preferred a few more examples of mistakes, but I do see photos regularly appear on the internet, and I have a good laugh. Besides, if there were too many examples, along with the grammatical reasons the phrases are erroneous, it might have put off those readers solely interested in their own translated tattoo. Why did I read it? I had read and enjoyed Peter May's Hebrides trilogy of crime fiction, and had erroneously thought this was the fourth. I had a credit on my Audible account, so used it to pre-order this. What's it about? A man with amnesia washes up on a beach, barely alive, but feeling as though he has done the most terrible thing. He attempts to discover where he is, why he's there, and just who he is without alerting anyone to his memory loss - terrified his dreadful secret will be too much to bear. A teenager struggles to cope with her mother's ability to move on with life following the death of her father, and sets out to find out more about him, little knowing the dire consequences her search will have on herself, and others. A body is found on a the remote Flannan Isles in the Outer Hebrides, and it is up to Detective George Gunn to find out how he was killed, and how he came to this remote rock, 20 miles west of any civilisation. As the story unfolds, these three people grow ever closer to the truth. It is uncannily hard hard to describe this book without destroying the mystery. There are several voices in the book, most notably Neil's, the man we meet first washed up on the beach. What did I like? I loved the opening, as I was caught right from the moment Neal washes up on the beach. I was eager to know where the story would take me. And, just was I was becoming engrossed in his story, there is a switch to the teenage Karen's life, and suddenly I start making connections. The story is so well paced that you don't feel like matters are being dragged out, or that you are racing towards the end. There are a few red herrings, and a twist or two, though nothing to frustrate the reader. I note other readers were critical of the change between first person, and third person narrative, but I felt it created a good separation/barrier in the stories. Once again, the landscapes are described beautifully by the author, and one almost feels as though the land, and sea are characters themselves. Peter Forbes did an excellent job as narrator, each word was clear and precise. What didn't I like? Only one little quibble with the recording, which I had up loud as I did other tasks, was being able to hear papers turning. Still, the recording from Audible was clear! Would I recommend it? Absolutely! Love crime fiction? Read, or listen to Coffin Road. Like stories set in beautiful landscapes, particularly Scotland? Read, or listen to Coffin Road. Coffin Road - Reading progress update: I've read 17%. So, I've only listened to the first six chapters, but I am so engrossed in the story, I will spend the weekend desperately listening every chance I get. I've not totally lost interest in this book, but I will be happy when it's finished. Why did I read it? I've always had a fascination with this self-made woman, and I remember reading a review of the paperback version of this book on a blog a few years back, and thinking I must read it. When I saw it was available in audio form, I took the opportunity to select it for my commute. What's it about? 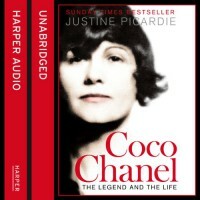 It's a factual biography of Gabrielle Bonheur Chanel, better known as Coco Chanel, the orphaned girl who rose to be one of the most famous names in fashion, if not the most famous; credited for the creation of simple, elegant, comfortable designs, most notably the "little back dress" now considered an essential item in any wardrobe. What did I like? It was a book focussed on revealing truth and facts. I did learn some things about Chanel I had not known before. There were attempts at avoiding speculation. 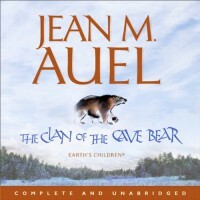 The audio version downloaded from Audible was clear, and without fault. The book was full of facts, but much of the book seemed to stray into the lives of those around Chanel. At one point, it seemed as those quite a few pages had been dedicated to the wife of a lover and, try as I might, I failed to grasp as to why this information had been necessary to the book, as it apparently had no bearing on Chanel's life itself. I think that was the focus of my dislike of the book: very little on the woman herself, with far too much about friends, family, business associates, and acquaintances. I felt the book really could have been a lot shorter, with the cutting of the extraneous information. Would I recommend it? I wanted to enjoy this book, I really though I would, but I didn't, and I feel any reader would think their time better spent on other books.